jawa von cherié: been watching tv-shows online all day long! Today, as the headline says, I have only been watching tv-shows on my computer all day long. I am so lazy, I don't really wanna do anything these days and also I am going to Rhodes in 9 days ! 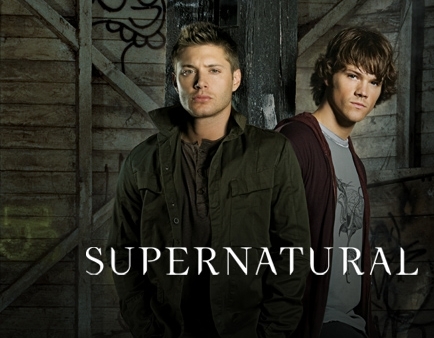 So I don't want to get sick since there is a virus circulating in the air here in Stockholm..
Supernatural is about 2 brothers that travels to diffirent cities to haunt and kill demons. Also it is about revenge on their mother's death and figure out diffirent mysterious tracks that their father left them when he just vanished away.. Many of you know of this show, but if you don't this is a drama reality show about guidos and guidette's. They party hard, tan a lot and train, that's kind of their lifestyle and it is a very funny show. It is a lot of drama and fist-fights, lol. This one is about a girl named Jenna. She got a random note from someone and she got depressed so she wanted to take some aspirin because of her headache over the whole situation but the thing is something went wrong there and everybody thinks she is suicidal which she is not, so this is kind of her from being a no-body to the it-girl. Also drama. hmm, I was thinking of start to watch True Blood, everyone says it is such a good program, so, what do you think of that, yes/no?